CONCORD, Calif. (KGO) -- A new comic book is causing quite a sensation in the East Bay. Customers in Concord grabbed copies of the new Avengers comic and it's not just because of the upcoming movie. The comic is based in a fictitious city named Pleasant Hill. That gave the owner of Flying Colors Comics an idea. He asked Marvel to make a special cover referencing Contra Costa County's Pleasant Hill. He got his wish. 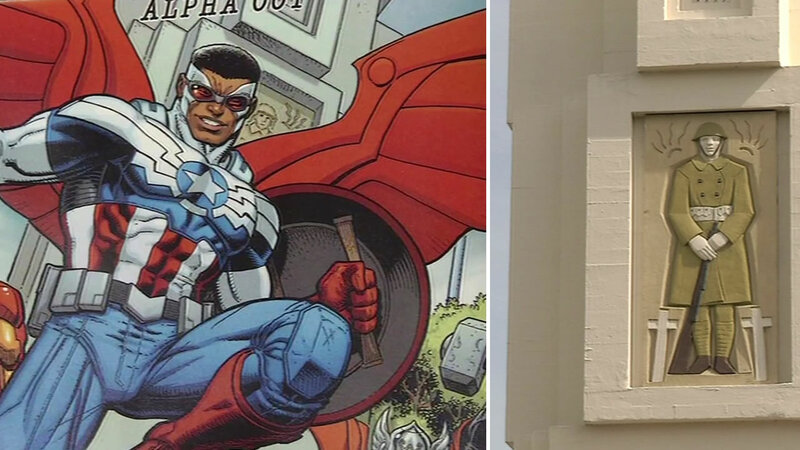 The cover has the city's Soldiers Memorial Monument behind the super heroes. "The memorial is probably pleasant hill's most outstanding landmark. Built in 1927 to honor World War I veterans," said Joe Field of Flying Colors Comics. The cover was even drawn by a contra costa county artist. The special edition avengers comic is only being sold at concord's flying colors comics.